1. Laura Mercier Foundation Primer, 1.75 fl. oz. its okay, it's not bad...but it's not great. The biggest problem I have with this primer that it seems to age quickly. I have bought two tubes, had multiple samples, and they all turn out the same within a month or so. It goes rancid rather quickly.You can tell by the smell.Other than that, its okay...if I believe that it works. lol. 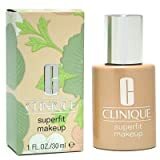 I use this product with the Laura Mercier tinted moisturizer and have great results.I even wear it on its own when I can't be bothered to apply makeup.It evens out your skin tone and makes your skin glow.My makeup lasts a lot longer and never looks oily.I tend towards the oily side and have replaced my moisturizer with this product.I think using both would be overkill with oily skin. I've also tried Benefit's Dr. Feelgood--a product meant to keep your makeup were it belongs and smooth out your skin--and found that this one is far superior. 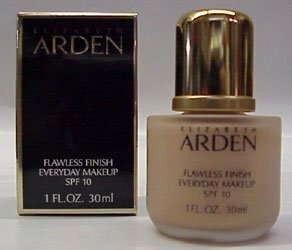 I thought I had tried everything in make-up but after reading about foundation primer thought I might be missing something. I did wonder though if this was really needed. After putting it on in the morning every day for a week now I don't want to be without it. The primer not only makes a better canvas of the skin for make-up by helping it blend more easily and evenly but make-up stays in place and true to color until you take it off at the end of the day. There's also a slightly reflective glow that makes skin look younger and healthier. What more can you ask for? It goes on smoothly over my moisturizer with a light consistancy. I think it even locks in the benefits of my moisturizer. My skin tends towards dryness and this together with my moisturizer leave it more radiant and it never gets dry or dull. I also like the idea of a barrier between my skin and my make-up -- less foundation or powder clogging the skin. The only thing I would caution is that those with oily skin may become a little too glowing by the end of the day and need a light dusting of powder. I even would if I preferred a matte appearance. When the weather gets humid I probably will. Just when I thought I had everything and looked the best I could with the products I use I ran accross this to further improve my look and found the extra step to be very worthwhile. Once when I had the honor of meeting the famous Makeup Artist Laura Mercier in person, I asked her what one beauty product she would want if stranded on a desert island. Without hesitation she replied in her beautiful, soft, and very French accent, "Foundation Primer, of course!" This left me curious as to how she chose one product so quickly out of the myriad in her arsenal. Most women choose lipstick, concealer, or mascara; why would Ms. Mercier choose a makeup prep step above all other products -- something most women have never even heard of? "Even if you didn't have foundation to put on top?" I cautiously countered, not wanting to insult her choice. "Of course, my Foundation Primer is more than just a primer. I wear it even when not wearing makeup at all," she replied sweetly. 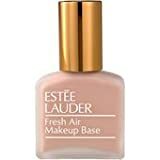 Just as an artist woudn't think of painting on an un-primed canvas, Foundation Primer fills in the little lines and pores, evening the skin tone and texture for a more flawless finish to makeup. 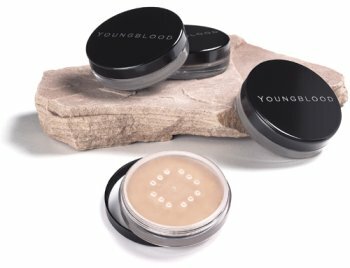 Foundation glides on the skin more easily and stays looking fresh longer by creating a silky barrier between skin and foundation. 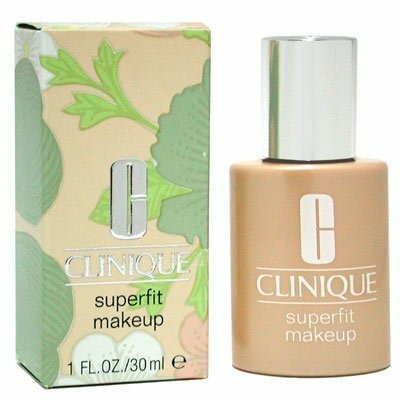 Ideal for all skin types, oilier skins will notice their foundation staying color true throughout the day [the darkening occurs when oils secreted by the skin mix with the makeup and give it a darker look] and are happy this oil-free and pigment-free Primer won't add an extra layer to makeup. Drier skins will enjoy the benefit Foundation Primer has in sealing in the moisturizer so it won't evaporate during the day keeping the face soft and radiant as well as preventing talc (a common ingredient in foundation and powder) from drawing much needed oil out of the skin. 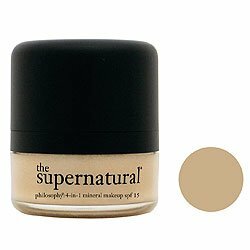 Foundation Primer also helps prevent the skin from absorbing talc and pigment from foundation and powder -- a boon to blemish-prone skin. Did I mention it extends makeup wear? I find I can apply my foundation with Foundation Primer underneath, teach my morning aerobics classes, and my makeup still looks fresh enough to work the rest of the day as a makeup artist under the intense scrutiny all my clients consciously or unconsciously give. Makeup even stays put in hot, humid weather! This product is an absolute must for all my brides. How is Laura's Foundation Primer more than just a primer? Laura's primer contains "unique light-reflecting ingredients" which create a "soft-focus appearance." This soft focus causes fine lines and imperfections tosmooth over as well as gives skin a soft, luminous, and healthy looking glow. Not just for under foundation, in fact Laura considers Foundation Primer a must for non-foundation wearers. The same soft focus appearance makes bare skin look beautiful and naturally flawless. 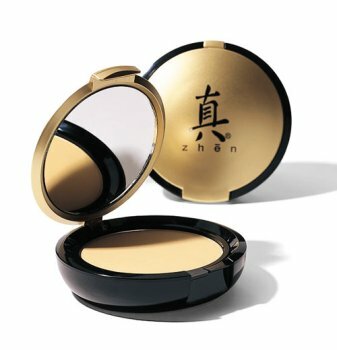 Top with a little Loose Setting Powder and you have a smooth and luminous, beautiful and natural, barefaced look. 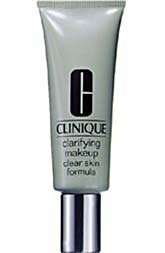 This Primer also has added skin care benefits to improve the skin's appearance. Potent antioxidants Vitamins A, C, and E help protect skin from the harmful and dramatically aging effects of the environment. Foundation Primer also contains botanicals such as lavender, orange, jasmine, rose, geranium, grape, kiwi and aloe extracts to soothe and refresh the skin. Foundation Primer does not contain sunscreen, however all of Laura's daytime moisturizers have broad spectrum (UVA and UVB) protection in the form of titanium dioxide. 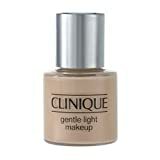 Apply a liberal amount of this lightweight creme-gel on clean skin, after moisturizer. With fingertips, massage all over face, including eyelids, lips and throat (those with sensitive eyes may wish to avoid the eye area).A large pea-sized amount, think garbanzo bean or chick pea, is all you need. If you find you require more, it may be an indication that your skin is dehydrated and you may need to up your moisturizer. "Place Foundation Primer in the refrigerator, the coolness is extra refreshing and helps reduce puffiness." (This tip is especially pampering in the summertime.) "Take a few minutes to gently massage into the skin; a light massage is stimulating and healthy for the skin." This isn't greasy or drying and the color match for me is great.I use Vanilla Beige and have had a very hard time finding a color that didn't turn ashey on me or look too yellow. Maximum coverage with moisture-enriched formula. Adjusts to skin's level of mositure. I went to Sephora and came across this item. At first because it was in a mirror i almost bypassed it so a friend and i thought i would ttry it. I put the sample of it across my hand and i noticed the difference right away it blended perfectly. So when i tried it on in the store i was hooked. It makes your skin feel even more softer than it was in the beginning and being a African American Woman i was amazed. So much so that i brought it and i highly recommend it. You will go backk for another one. With it coming in a cute Mirrored Compact it is simple to use. Just smooth it on wuth the enclosed sponge and your out the door. This goes on beautifully with the "ultimate foundation" brush also by Youngblood Cosmetics.This is the only make-up that actually covers great, looks natural AND doesn't cause breakouts.I use the warm beige foundation, the medium loose powder and the adobe blush.I have been extremely pleased. I have rather large pores and combo skin.After trying many other mineral makeups that made me too shiny I tried YB.This is FABULOUS.Apply in morning, set with their Mineral Rice Setting Powder and I'm good for all day - including sweating while gardening.Hurray! NEW Personal Match Makeup is formulated with all the essential skin-true pigments needed to match over 98% of skin tones.Also adds moisture or absorbs excess oil where needed, and protects against pollutants and other environmental stressors. Dry skin, take heart. 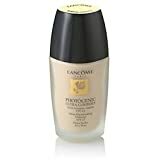 Our moisturizing foundation boosts skin's moisture by 57%, so skin looks refreshed, smooth, and beautiful. 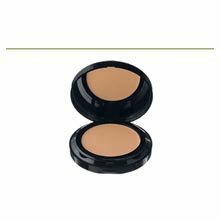 Medium to full coverage 1 oz. net wt. 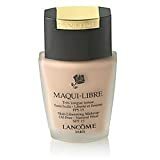 Lancome Maqui-Libre Skin Liberating Makeup Oil-Free SPF 15 30ml/1.0oz. Provides transfer-resistant, all-day wear. Lightweight and oil-free with a soft natural finish. I tried the Touche Eclat on a whim.Being a fanatical concealer user to hide dark circles and work with deep set eyes, I have become a connisseur of sorts.Most concealers will settle into any little 'crinkles' around my eye area, but not this one.Additionally, it brightens AND lightens without being thick and heavy.I can't believe how well it works.I just love it.You get what you pay for!I use mine EVERY DAY and not sparingly either - and it still lasts a solid 6 months.Personally, I prefer the radiant one - much brighter and has no yellow in it to add to the aging process. Personal Match Makeup is formulated with all the essential skin-true pigments needed to match over 98% of skin tones.Also adds moisture or absorbs excess oil where needed, and protects against pollutants and other environmental stressors. A sweep of featherweight powder makes a world of difference. The self-balancing, "self liquifying," formula leaves an even, velvety finish. .63 oz. net wt. Lancome Photogenic Ultra-Comfort Skin-Illuminating Makeup SPF 15 30ml/1.0oz.